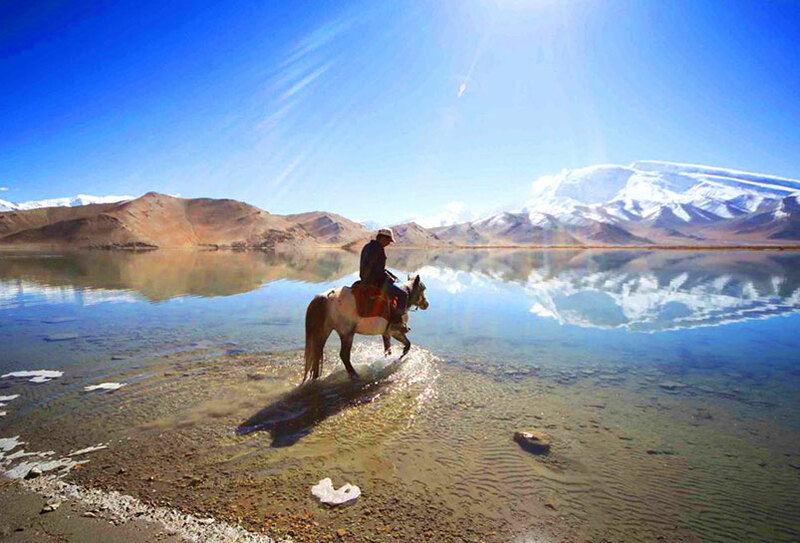 Karakul Lake,At an altitude of 3,600 m. it is the highest lake of the Pamir plateau, near the junction of the Pamir, Tianshan and Kunlun Mountain ranges. 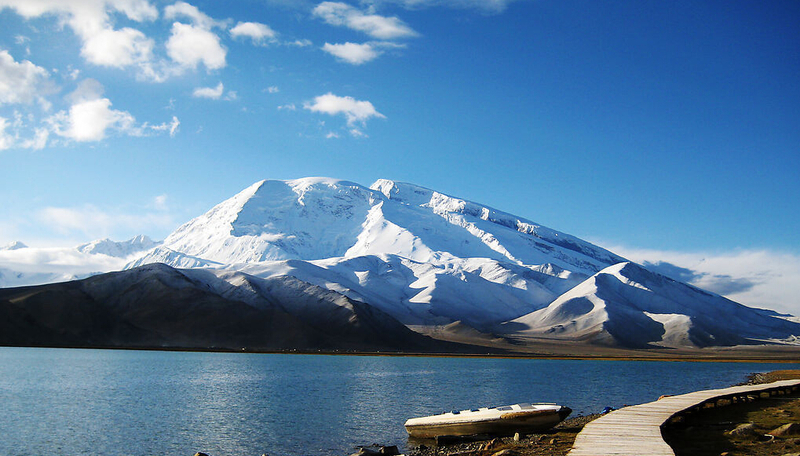 Surrounded by mountains which remain snow-covered throughout the year, the three highest peaks visible from the lake are the Muztag Ata (7546m), Kongur Tagh (7,649m) and Kongur Tiube (7,530 m). 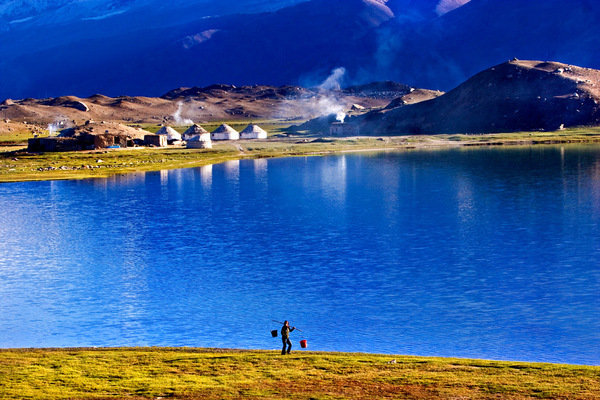 The lake is popular among travelers for its beautiful scenery and the clarity of its reflection in the water, whose color ranges from a dark green to azure and light blue. 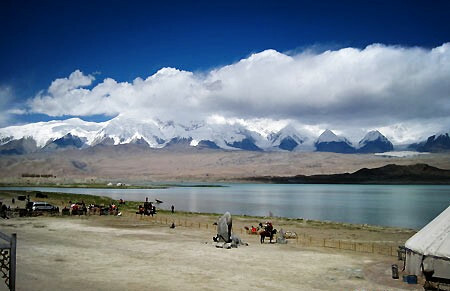 There are two Kirgiz settlements along the shore of Karakul Lake, a small number of yurts about 1km east of the bus drop-off point and a village with stone houses located on the western shortest.